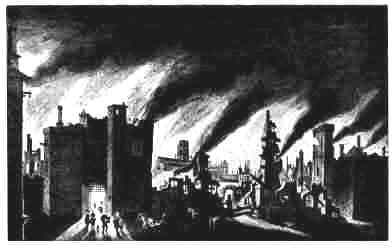 The fire began in the Pudding Lane house of baker Thomas Farriner. When questioned later Farriner said that he had checked all five fire hearths in his house and he was certain that all fires were out. Nevertheless, when the family were woken by smoke in the early hours of the morning, the fire was so well established that the family could not use the stairs had to escape through an upstairs window. The fire was so well established that it could be seen from a quarter of a mile away. The Lord Mayor was advised to order the demolition of four houses. He decided not to issue the order because the city would then be responsible for re-building those houses. The fire spread destroying houses west of Pudding Lane. The City’s water engine was also destroyed. 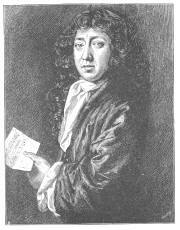 Samuel Pepys’s maid reported to him that more than 300 houses had been destroyed. News of the fire spread through the city and the streets were filled with people running to escape the fire. The fire had burned for half a mile to the East and North of Pudding Lane. 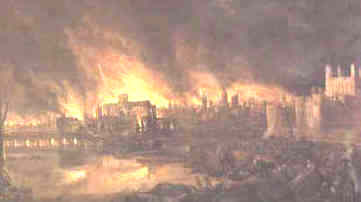 King Charles II had been informed of the fire and he had instructed the Mayor to pull down any houses necessary to stop the spread of the fire. However, in a City where the houses were very tightly packed, pulling down enough houses to stop the fire before the fire took hold was a difficult, almost impossible task. The fire continued to spread and householders had to choose whether to help the fire-fighting effort or attempt to save goods from their own houses. 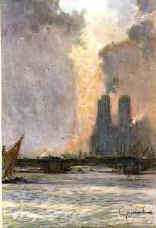 The Thames was full of boats laden with property rescued from houses that had burnt down. Profiteers made money by hiring carts and boats at high prices. Most people could not afford their prices and could only save what they could carry. To reduce the numbers of people in the area of the fire, an order was given that carts could not be brought near to the fire. Charles II attempted to bring some order to the City by establishing eight fire posts around the fire with thirty foot soldiers assigned to each. 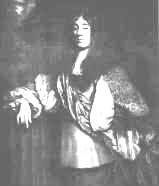 His brother, the Duke of York (below), was put in charge. Because the wind was blowing from the East the fire had spread eastwards more slowly. Fire-fighters managed to prevent Westminster School from being destroyed although it was badly damaged. The fire was now 300 yards from the Tower and orders were given for extra fire engines to be sent to prevent its destruction. Many of London’s wealthiest citizens had taken their money and valuables to the Tower for safekeeping. The fire showed no sign of stopping. All attempts to check its spread had failed and the fire-fighters were getting very tired. All carts, barges, boats and coaches had been hired out. The roof of St Paul’s cathedral caught fire. This had proved to be the most destructive day of the fire. St Paul’s cathedral was among the many buildings destroyed on this day. Weather Report: hot, dry but NO wind. The fire continued to burn but, due to the fact that the wind had dropped, it was not spreading so rapidly. The destruction of a number of houses in Cripplegate had stopped the spread of the fire and had allowed fire-fighters to put it out. All fires in the West of the City had been put out. The fire was finally put out. Fortunately, only 6 people lost their lives, far less than the number that would have died from the plague if the fire had not happened. This article is part of our larger resource on the Stuarts culture, society, economics, and warfare. 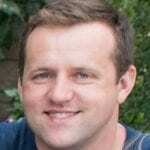 Click here for our comprehensive article on the Stuarts.